Youth ministry is really a ministry to parents. As veteran youth worker Dewey Bertolini says, “Our ultimate effectiveness with teenagers may depend upon our concerted effort to gain an influence in the homes of our youth.” Sure, youth workers can have a real impact on the lives of impressionable youth, but our most effective long-term ministry may indeed be our entrance into the lives and hearts of parents. We understand that God’s Word gives the ultimate responsibility for raising children to parents, and especially fathers (see Ephesians 6:4 for example.) That’s why a main focus of local church youth ministry should be upon equipping parents to be effective in how they raise their kids for the glory of God. However, most youth workers spend the majority of their time ministering to teenagers. The problem is that we sometimes fail to implement even the basic ingredients of an equipping ministry to the people most responsible for the spiritual maturity of our students: their parents. The Lord has given my wife and me the opportunity to lead several seminars and workshops over the past few years for parents of teenagers and preteens. (This only means that “we’re old”; our kids are grown up and are now adults.) This experience has convinced us that many parents are looking for the following five things from the church: communication, training, fellowship, encouragement & support, and resources. We have talked to hundreds of parents of teenagers and preteens in churches of various sizes all across the country. These interviews give ample credence to our belief that every church should include these five priorities in its ministry to parents. I encourage all youth workers to regularly communicate in every way possible to parents. Don’t assume that the teens will get the information to their parents. This is your responsibility. Utilize your youth group website, e-mail, texting, newsletters, the church bulletin, announcements, phone calls, mailings, and all other means of communication at your disposal to get the necessary information to parents. I know several youth workers who schedule regular informational meetings with parents so that they do not have any excuse for not knowing what the youth ministry is doing. Parenting is a difficult task even for the best of parents. It seems ridiculous to me that churches don’t make training and equipping for parents more of a priority. This responsibility is one of the most important tasks we face, and yet we often go into parenting so unprepared. It has also been reported that church growth guru George Barna has stated that parenting classes might be the most effective means of community outreach in contemporary culture. It is no wonder, then, that so many parents of teenagers have told us that they wish their churches would provide specific means of training. There is a very real tension here, though, because many church youth workers are younger than the parents of teenagers. I personally faced this apprehension as a young youth pastor, right out of college and trying to relate to the parent of teens and preteens in my church. I discovered that I could talk to them about the big picture of youth ministry without trying to state that I was some kind of expert on being a parent of teenagers. Frankly, I didn’t have a clue how to be a parent back then, but I did come in contact with several teenagers in church each week, and I also made weekly visits to multiple high schools in our area. I couldn’t tell them about how to raise their own kids, but I could share my own observations and conclusions about teenagers in general and the overall picture of youth culture. I came to the conclusion that I couldn’t provide specific training in how to be a parent of teenagers, but I could make other “experts” available to them. So, I utilized our senior pastor (he and his wife had grown kids) and other adults with parenting credibility in our church to lead parenting classes and workshops for younger parents. We also brought in outside parenting specialists for training and provided other training tools for our parents of teens and pre-teens to utilize on their own. The third thing that parents need from church is fellowship. I believe that parents of teenagers desperately need fellowship and interaction with other parents of teenagers to show them that they’re not in this all alone. They also need fellowship with people from other age groups as well, especially with parents who have already raised their own children. Wise youth workers will help parents make these kinds of connections through various church programs and ministries. I want to share another idea with you. 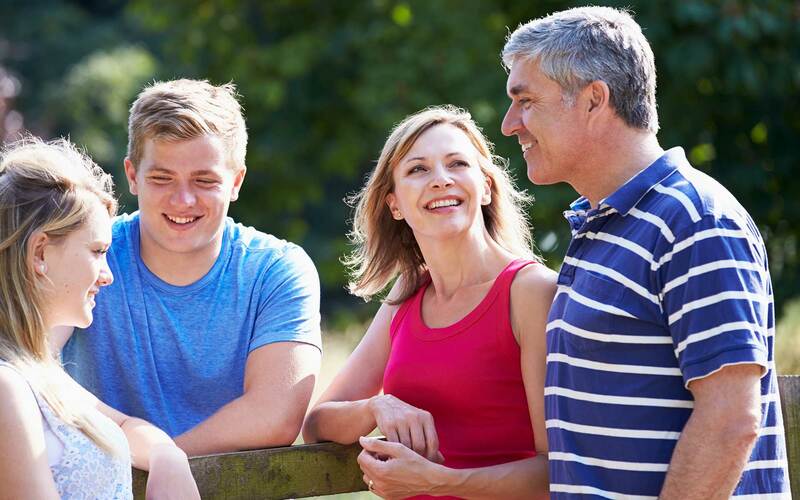 Why not try planning some activities each year for parents and teenagers to attend together? Mark DeVries, the author of Family-Based Youth Ministry, touts this idea is his book. He writes, “I began with this rule of thumb: if it works with teenagers, try it with youth and parents together.” Maybe he is on to something. Parents need regular sources of encouragement and support. Ideas abound. 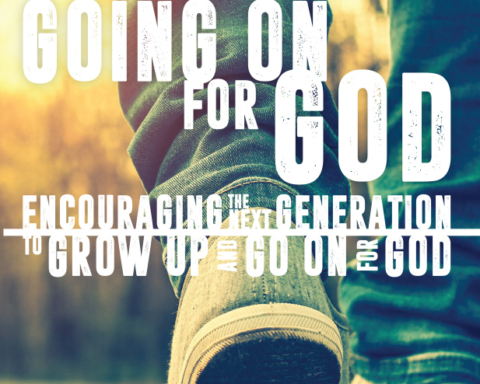 The key here is to do everything you can within the youth ministry to show parents of teenagers that you appreciate the work they are doing in raising their kids for the Lord. Finally, youth workers should do all they can to provide parents with some helpful resources and materials for parenting. These resources are plentiful today – check the Internet and your local Christian bookstore. Perhaps you could create a library of sorts within your ministry for parents to check out books, websites, or other practical resources to help them with their kids. You’ll need to be discerning about what kind of materials you provide for them. You should read or watch everything first and only then make those resources available that you would personally endorse or recommend. You may also want to involve the senior pastor in that process. Ask him to list some resources that he finds helpful for parents of teens and preteens. As you gather resources for parents, don’t forget the “people resources” that are a part of your church or community. What about doctors, police officers, child advocacy experts, lawyers, and counselors? Sometimes parents need these kinds of resources as well. Proverbs talks much about the “multitude of counselors.” It is my experience that a church can make some crucial contacts for parents when they are going through difficult times with their kids. It is very important for all youth workers to remember that they are not the parents of teenagers. Ultimately, parents are responsible for the spiritual maturity and well-being of their own teenagers. I am afraid that some youth workers inadvertently take on too much pressure by almost trying to be a parent to the majority of students in the youth group. This isn’t the best solution. Wise youth workers will work to add the above listed ingredients into the fiber of their youth ministries. This strategy will encourage parents and will help to get them on your side. We must not forget that the most effective youth ministry is undoubtedly a ministry that includes parents as a major focus. May God bless you as you seek to minister to parents of teenagers.